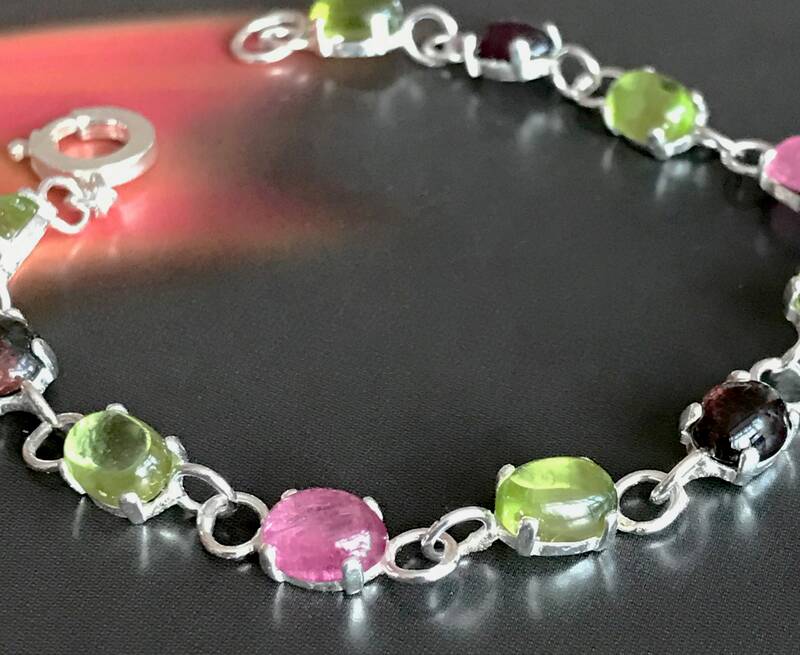 This bracelet took many hours to make with each stone set in claw setting sterling silver with open backed bezel. Each component is soldered for complete security. 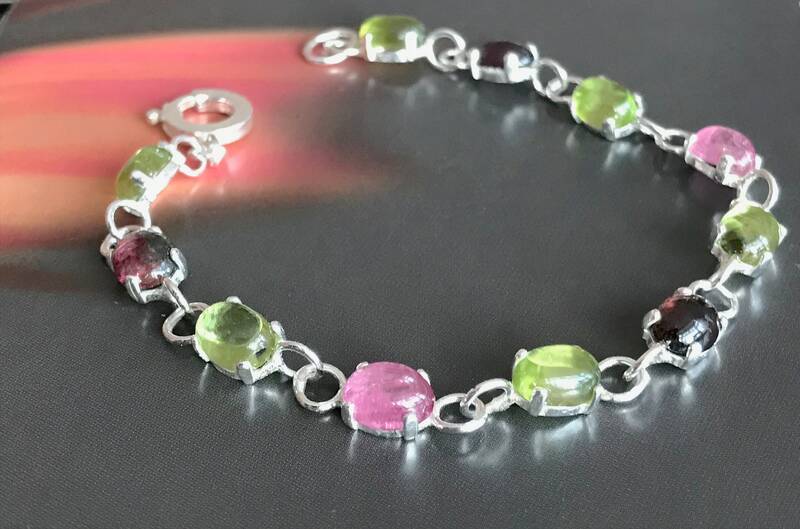 The bracelet comprises of eleven 6x4mm stones (6 peridot and 5 tourmaline). All have a wonderful vibrancy and colour. 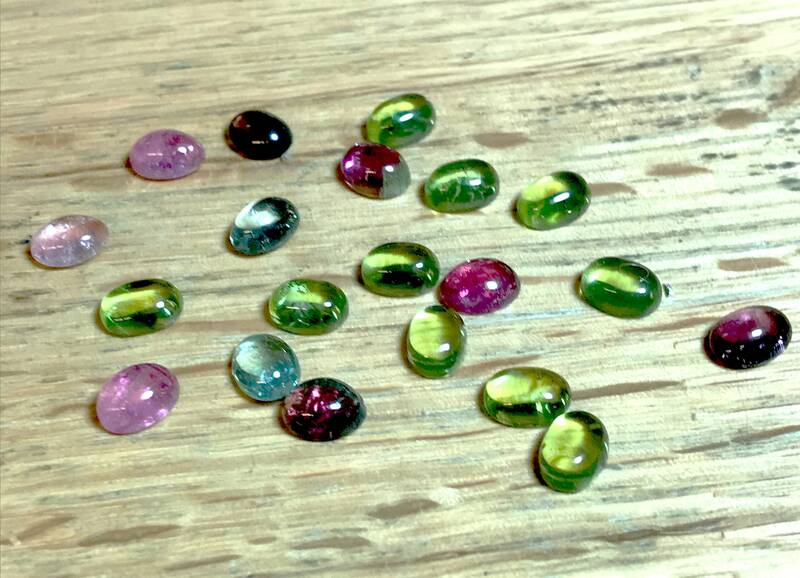 The tourmaline ranges from dark to pale pink which is a lovely contrast for the green peridot. 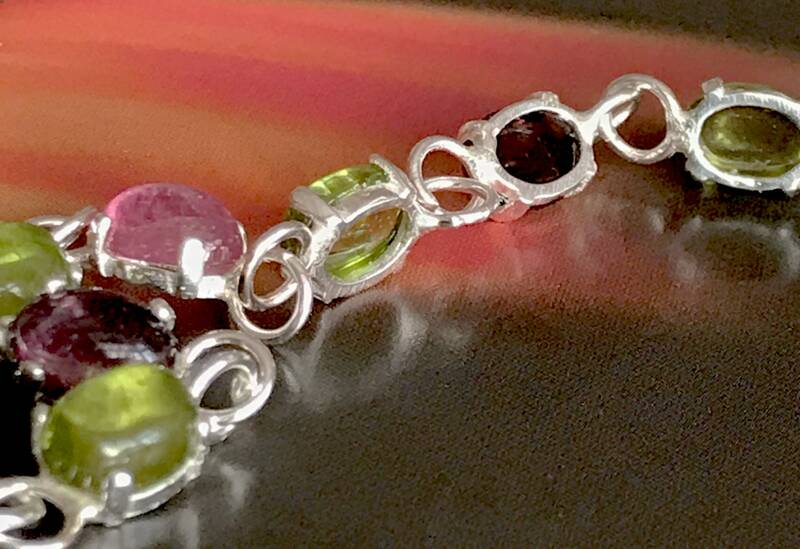 The bracelet has a sturdy and stylish bolt fastening and is 7.5 inches long. 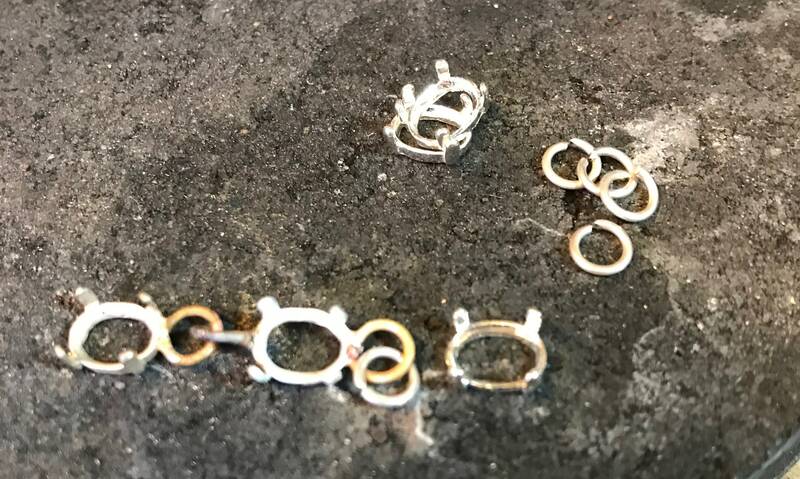 It is also possible to wear the bracelet shorter simply by fastening it further along the piece. As with all purchases, the item comes in a gift box.